I have often been asked why I stayed with my first career - the insurance industry - for 35 years, managing offices, teams of salespeople and office personnel. It didn't take me long to answer that question: I appreciate people and I get enormous satisfaction from helping others (Yes, I am a "people person"). Additionally, I have a knack for taking complex problems and finding direct, easy and confident solutions. That is the combination of skills and personal qualities which kept me passionately connected to that industry for so long. Involvement with people is one of the foundations of my personal life as well since I enjoy the company of men and women of all ages and backgrounds, I have started or joined groups of varying interests for both social networking and social action (for the betterment of society). These varied associations and the sum of my life experiences – wife, mother, sister, and mentor - has given me a unique insight into people. My caring and natural concern for others (which also flows into my love & understanding of animals) supports my soft, open approach as I reach my hand out to guide and coach. Creativity, a deep intuitive nature and practical organization also add to the foundation of what I am able to offer. It is important for me to continually reach through to "the other side' of my own personal invisible fence. I am an advocate of and personally practice a regimen of health and wellness. I am actively learning about self-improvement which is applied in my coaching practice to continually help my clients reach their goal of removing invisible fences in their lives. 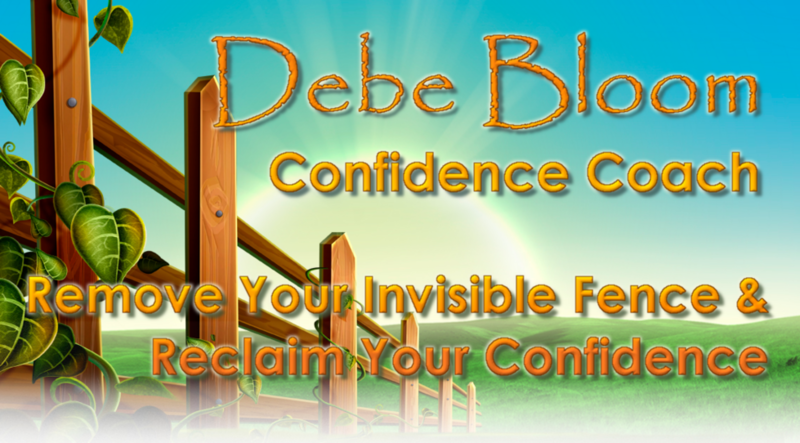 "Debe Bloom helped me find the tools within myself to achieve the goals I needed. With her calm intuition and support, I am on my way. Thanks so very much Debe!"